The province of San José, located at an average altitude of 3809 ft, is has the ideal conditions for coffee production. It has a wide variety of microclimates, from the mountain wilderness of the Cerro de la Muerte to the humid tropical climate of the southern lowlands . 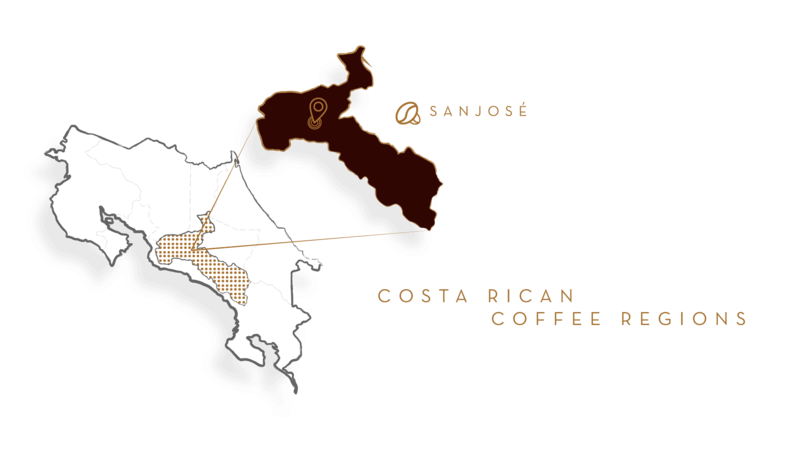 The Central Valley, where San José is located, offers a diversity of quality coffee quality, resulting in a well-balanced cup. The volcanic soil and climate produce an excellent coffee with grapefruit and peach notes.